Today Santiago’s director of education, Yoris Rojas, announced that Mayor Felipe Alessandri will meet with Education Minister Marcela Cubillos to review Arlén’s enrollment in Santiago’s Liceo 1. The news was delivered during a successful demonstration called by Arlén, OTD Chile and councilwomen Irací Hassler and Natalia Contreras. At 9 a.m., students, partners, politicians and the media began to arrive that have followed and supported the request of Arlén and her family to study at the Liceo 1 for girls in Santiago. 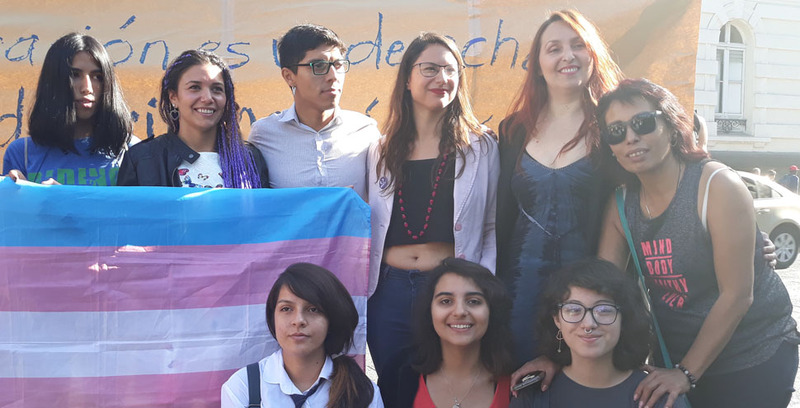 After yesterday the Municipal Education Directorate denied the possibility, because the access was not adapted to the institutional educational program, being “monogender”, denying the feminine identity of Arlén; together with the fact that there are no vacancies available, information that has been questioned by the establishment’s own students.